Another one!! 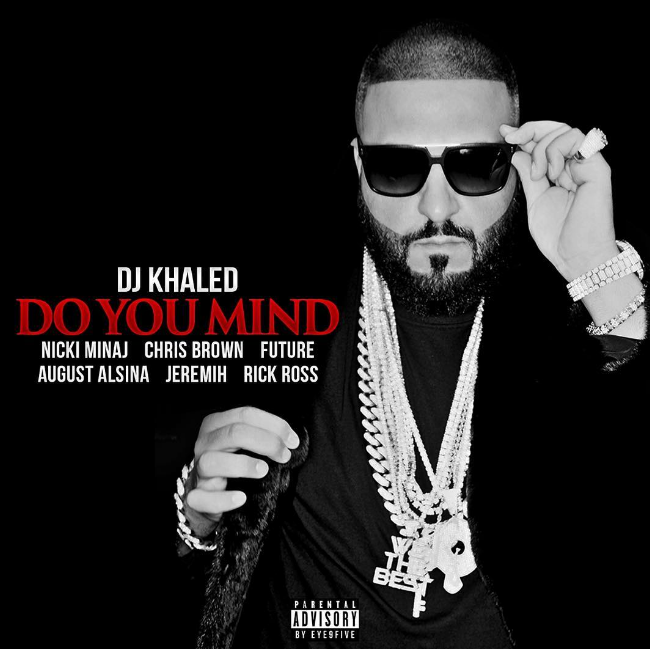 Stream "Do You Mind" off DJ Khaled's "Major Key." "Holy Key," the first single from DJ Khaled's album Major Key, was a triumph. In particular, the Kendrick verse. With the album due out tomorrow, Khaled premieres another track by way of iHeartRadio called "Do You Mind." The supporting cast of Nicki Minaj, Chris Brown, Future, August Alsina, Jeremih, and Rick Ross is like the rap equivalent of the "New Year's Eve" cast. It's borderline overkill, not that we're complaining. Stream "Do You Mind" and check iTunes at midnight to properly cop the single. The album will be an Apple Music exclusive. Check out the unbelievably stacked tracklist here.